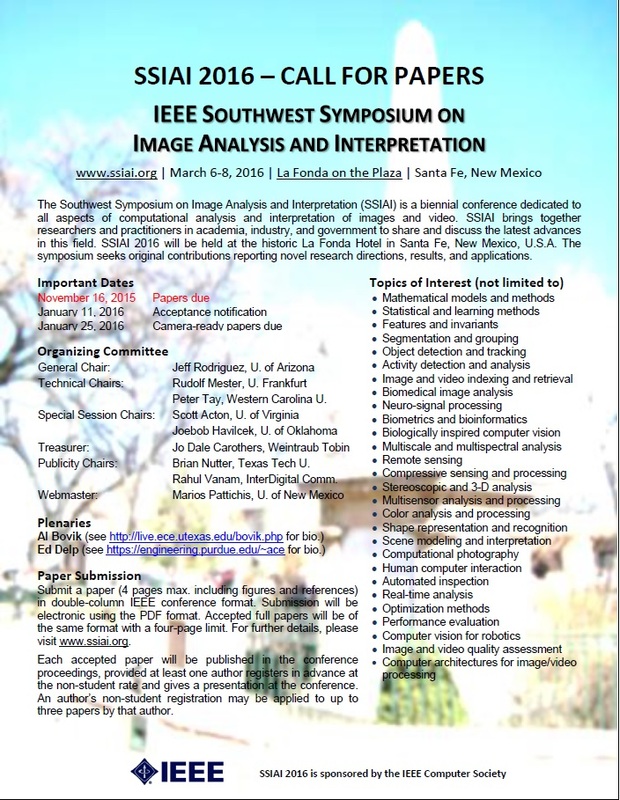 The Southwest Symposium on Image Analysis and Interpretation (SSIAI) is a biennial conference dedicated to all aspects of computational analysis and interpretation of images and video. SSIAI brings together researchers and practitioners in academia, industry, and government to share and discuss the latest advances in this field. SSIAI 2016 will be held at the historic La Fonda Hotel in Santa Fe, New Mexico, USA. The symposium seeks original contributions reporting novel research directions, results, and applications.